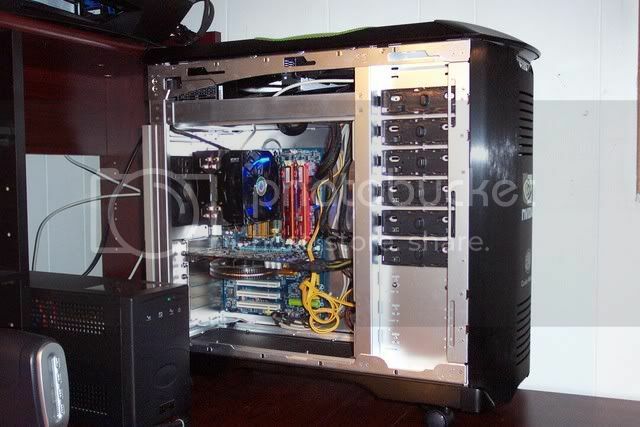 So we call ourselves enthusiasts, and yet there is a definite lack of pictures of peoples PC's on this forum. - I think it would be best if we can see the insides, so a shot with the side off. - I think also rig specs would work great too. So what are you waiting for! Get to it! Post post post! specs are in my signature and BTW big shoutout to Alathald for my signature banner - it rocks! Specs in signature. Nothing too extreme but I still ike it alot! The first is my rig of course. 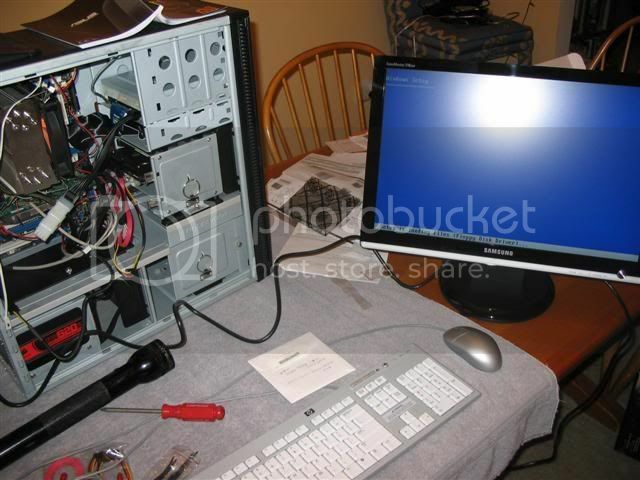 Crappy Dell Motherboard with all of my extras added in. Second picture is my Ultra X3 (Thanks LR!) crammed in the case. Notice the amount of gap between the PSU cables and the optical drives! This isn't the most recent. I've upgraded the PSU and Ram since this was taken. I also did a bit of wire maintenance. Thanks martini161 I'll check in to that when I get a chance and some $$$. I had a couple of CD/DVD drives that were IDE so I went ahead and used them. When I built the rig I was running 3 HD's and now down to 2. Left space between them so the front fans (case is Antec Nine Hunderd) would blow air accross the drives, but I see your point with regards to the IDE clutter, SATA cables are far cleaner. Stock cooling works just fine for me. I only do extreme overclocks when I benchmark, otherwise I keep the overclock moderate to extend the life of the system. At stock speeds you can under-volt the cpu so it runs every cooler. My E6750 is running prime stable at 1.15v and 26c. When I want power, I step it up to 1.4v. Last edited by Alathald on Tue May 13, 2008 5:29 pm, edited 1 time in total. If it weren't for those fugly IDE cables, it would be pretty clean. And just a little bit of water cooling. The only thing changed since these photos are Total 4sticks of the tracers, not just 2, and an extra 500gb drive. Other than that here she is. Last edited by Dragon_Cooler on Fri Jul 25, 2008 6:59 am, edited 1 time in total. 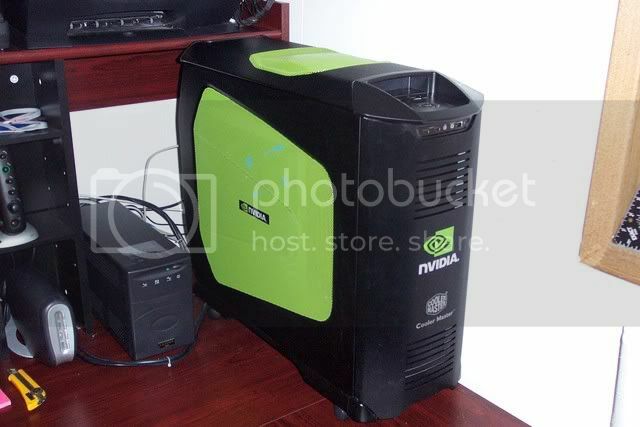 what kind of vid card does it have in it? and whats your qx6700 running at? martini161 wrote: what kind of vid card does it have in it? and whats your qx6700 running at?